Using Gum Arabic and the humble black and white photocopy as your plate, you will learn how to create prints of your photographic or hand drawn images. Using Gum Arabic and the humble black and white photocopy as your plate, you will learn how to create prints of your photographic or hand drawn images. 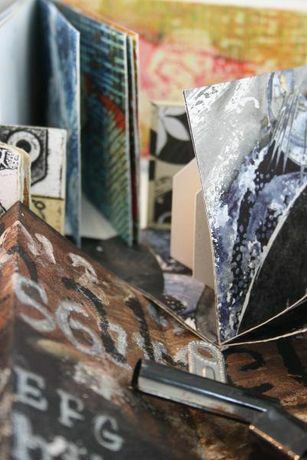 Together with a variety of mixed media techniques such as using ink, oil pastel, bleach and acrylic learn how to create personal sketch book pages and artist books. 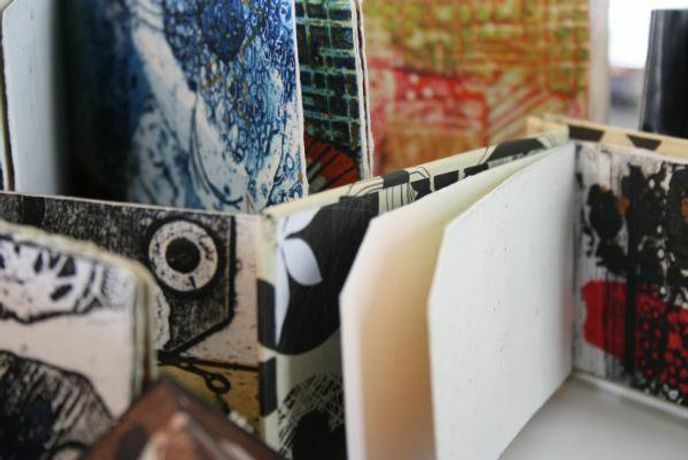 An ideal workshop to kick start your creativity and experiment with print. Sue Brown completed her degree in Fine Art in the late 1970s in Bristol, England, where she specialised in etching and printmaking. 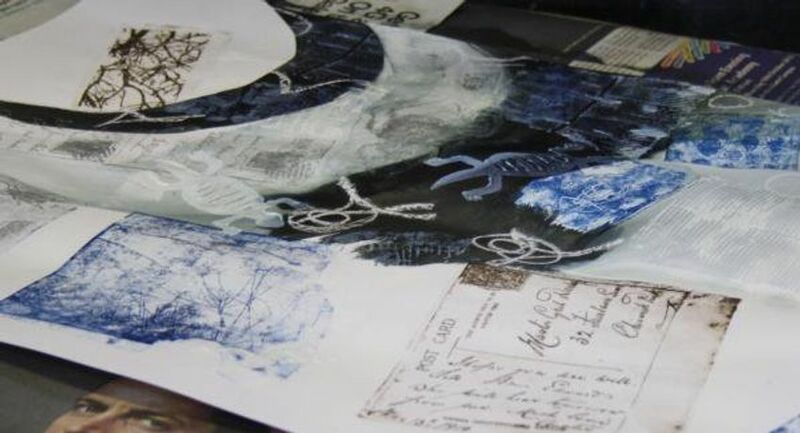 In 1996 she added collagraphs to her portfolio of work after discovering this printmaking technique. Sue has been a practising professional artist for 15 years and is based in Cheltenham. 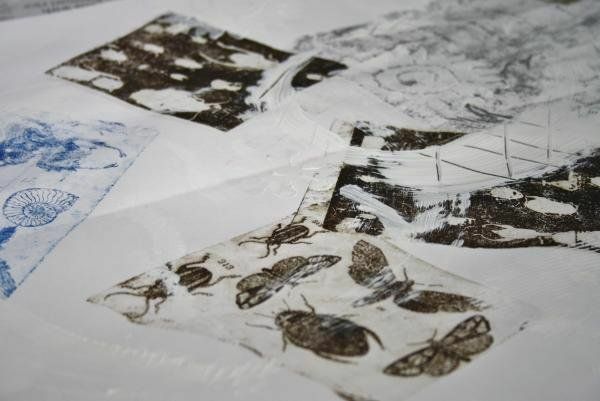 Her work is inspired by nature and been driven by exploring intaglio printmaking techniques. In 2009 Sue embarked on a 3 year part time MA in Multi-disciplinary Printmaking at the University of the West of England, graduating with a distinction in 2012. Book online at: http://www.leicesterprintworkshop.com/courses/print_and_make_your_own_artist/ .